"She wanted a ride back. She was asking if we'd left yet." A family friend testified on Monday that 15-year-old Tina Fontaine had asked for a ride home from Winnipeg about two weeks before she was allegedly murdered by Raymond Cormier. 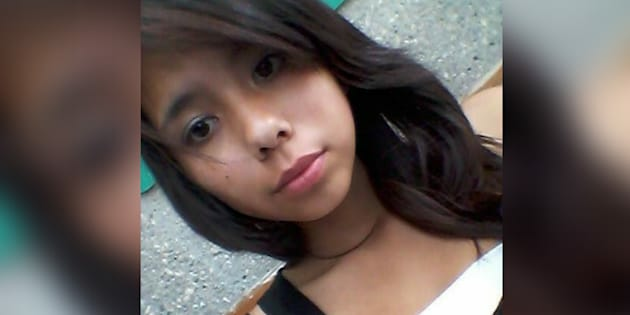 WINNIPEG — About two weeks before her death, 15-year-old Tina Fontaine asked for a ride from Winnipeg to the home where she had grown up, court was told Monday. Family friend Steven Whitehurst told court he didn't receive Tina's social media message immediately and it was the last time he heard from her. "She wanted a ride back," Whitehurst told the second-degree murder trial of Raymond Cormier. "She was asking if we'd left yet." Whitehurst said he knew Tina all her life and had been in a long-term relationship with one of her aunts. He testified that he saw Tina a few times the summer of 2014 and, on July 28, was heading to Fort Alexander, a community near the home where Tina had been raised by a great-aunt. He told court he didn't get Tina's message on his cellphone for some time because he was already driving through an area with spotty cell coverage. By then, it was too late. Fontaine's body was pulled from the Red River in August. She had been wrapped in a duvet cover that also contained rocks to weigh her down. Her death led to renewed calls for a national inquiry into missing and murdered Indigenous women. Crown attorney James Ross told court in his opening statement that Tina grew up in a safe and happy environment near the Sagkeeng First Nation, a 90-minute drive northeast of Winnipeg, but was sexually exploited after going to the city to visit her mother. Other friends and relatives testified Monday they saw Tina in the summer of 2014. One of her aunts, Angie Duck, said Tina appeared well and had nice clothes on when she snapped a photo of family members July 22. Another aunt, Lana Fontaine, recalled Tina sleeping over at her place for two nights on the August long weekend. Tina stopped by another time and was cold so she was given a sweater, Lana Fontaine said. The trial, now into its second week, has to date largely dealt with forensic evidence and experts. The jury has heard from a pathologist who said he could find no definitive cause of death. Tina's body showed no obvious signs of injuries or blunt-force trauma. There was also no DNA evidence from Cormier on the duvet cover in which she was wrapped. The duvet cover that Tina Fontaine's body was found wrapped in when she was pulled from the Red River in Winnipeg in August 2014, is shown in this undated evidence photo provided by the court. The Crown has produced three witnesses who say Cormier owned the same style of duvet cover. The cover had a distinctive pattern that of scattered leaves and was only available in Winnipeg at three Costco stores. Last week, a woman who lived at a house where Cormier slept in a backyard tent said she saw two hole from cigarette burns in the duvet cover he had. On Monday, the jury got to see the duvet that was wrapped around Tina. Winnipeg police Const. Garrett Carrette showed the jury two holes. Under cross-examination, Carrette agreed with Cormier's lawyer that the holes looked like rips or tears in the fabric.